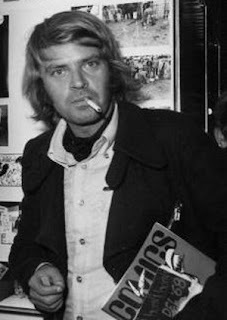 Franco Bonvicini, who signed his comic strips Bonvi, was born on this day in 1941 in either Parma or Modena in Emilia-Romagna. The correct birthplace is unknown. According to the artist, his mother registered him in both places to obtain double the usual amount of food stamps for rations. 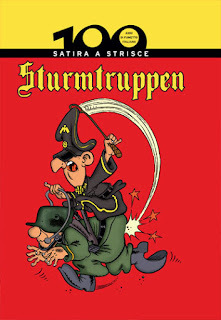 After a brief spell working in advertising, Bonvi made his debut in the comic strip world for the Rome newspaper Paese Sera with his creation Sturmtruppen in 1968. This series satirising the German army was a big hit and was published in various periodicals over the years. It was also translated for publication in other countries. Although left-wing and a pacifist, Bonvi was fascinated by war and built up immense knowledge about Nazi Germany’s uniforms, weapons and equipment, which he depicted faithfully in his illustrations. The cartoons satirised military life and the Nazis themselves, providing him with an endless source of comic and surreal situations. Bonvi also created the character Nick Carter, a comic detective, who later featured in a play, two films and a number of television cartoons. In the 1980s, Bonvi became a member of Bologna City Council and founded a publishing house and monthly magazine in the city. He was killed in 1995 in Bologna when he was struck by a car while crossing a road on his way to the television studios. He was due to appear on a show hosted by DJ and TV personality Red Ronnie and it was believed he intended to appeal for financial assistance for a friend, a Bolognese cartoonist, who was unable to work because he was dying of cancer. Franco Bonvicini could have been born in either Parma or Modena, cities that are about 60 km apart in Emilia-Romagna. 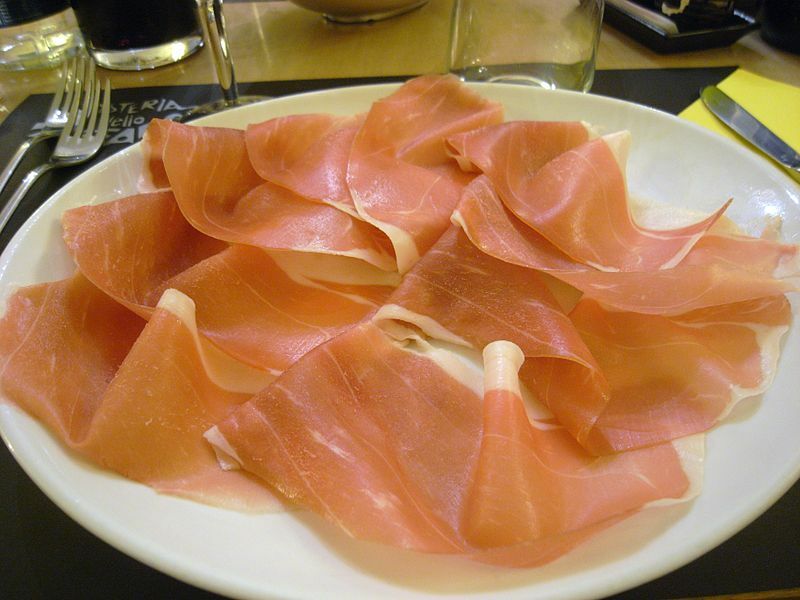 Parma is famous for producing Prosciutto di Parma, a type of cured ham, and Parmigiano Reggiano, a hard cheese. Modena for Cotechino Modena, a type of sausage, and aceto balsamico di Modena, a high quality balsamic vinegar made from grape must. Bologna, where Franco Bonvicini lived in later life, is known by Italians as La Grassa, the fat one, because of its rich culinary traditions. It is the home of the world’s most famous pasta dish, tagliatelle Bolognese, long strips of pasta served with a rich meat sauce. 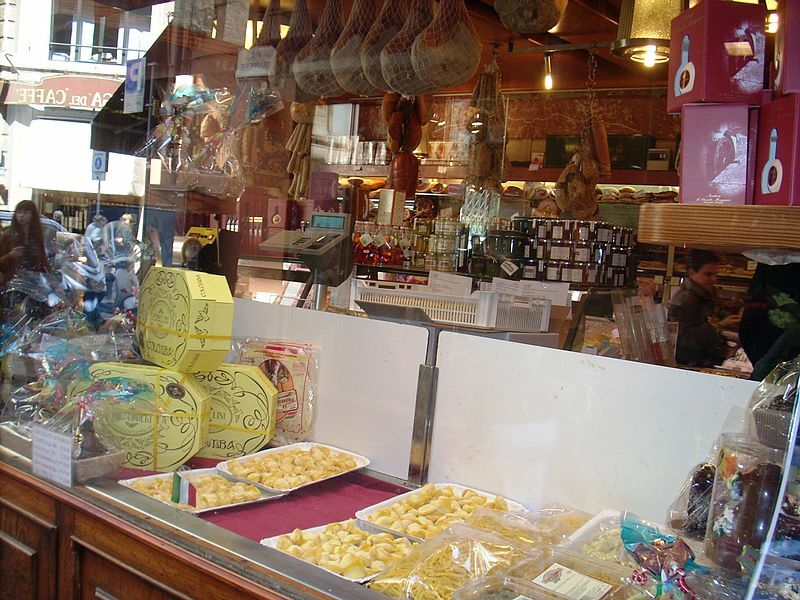 The best traditional food shops in the city can be found in the area known as the Quadrilatero, which is bordered by Piazza Maggiore, Via Rizzoli, Via Castiglione and Via Farini.